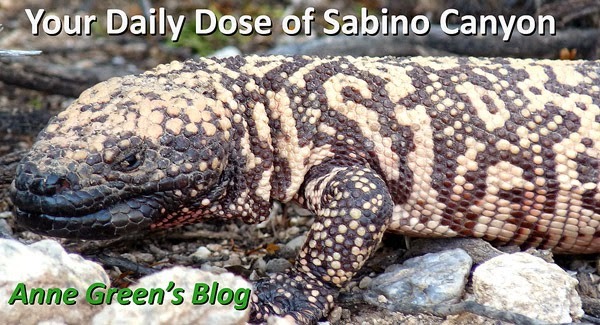 According to Joan Tedford's latest list, eleven species from the fern families can be found in Sabino Canyon. Who knew? (Besides Joan, that is!) The fern-looking one above (roughly triangle-shaped, to my eye) is Cheilanthes lindheimeri or Fairy Swords. he other one is Pellaea truncata or Spiny Cliff Brake. Thanks to Peggy for the photo and Joan for the updated id. We saw these on the nature walk this morning on - you guessed it - the Bluff trail. Joan says there is a third species in this corner on the Bluff trail. She writes: "The other one just to the right of that group is Astrolepis sinuata or Wavy Cloak Fern." Look for it next time you are out. Thank you to all the plant lovers who keep me honest and learning. Thanks for these photos and ids. Ferns in the desert are always wonderful.